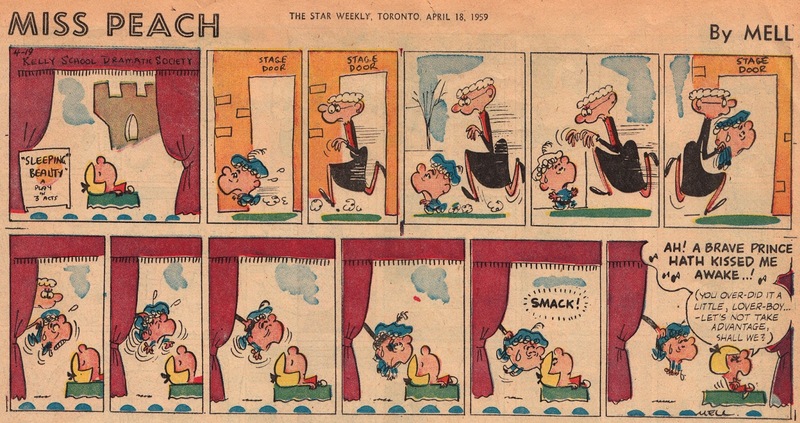 Mell Lazarus, cartoonist, writer and creator of the syndicated comic strips Momma and Miss Peach, died Tuesday morning, May 24, 2016 in Southern California. He turned eighty-nine earlier this month. Miss Peach was begun February 4, 1957 and ended in 2002. Momma was begun October 26, 1970 and is ongoing. 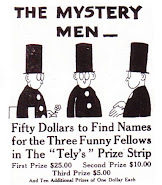 The National Cartoonists Society pays tribute HERE. Mell Lazarus cartooning legend HERE. Addio a Mell Lazarus HERE. GEORGE HERRIMAN’s comic strip Now Listen Mabel began in January 1919 and ran until December 1919. These samples are likely from a second circulation and all were published in the month of January 1920. Pretty Mabel Millarky was wooed by Jimmie Doozinberry who had a rival large number of suitors including Doodal McDoodil and the entire small town police and fire departments. [1930s] Toodles or Toots. 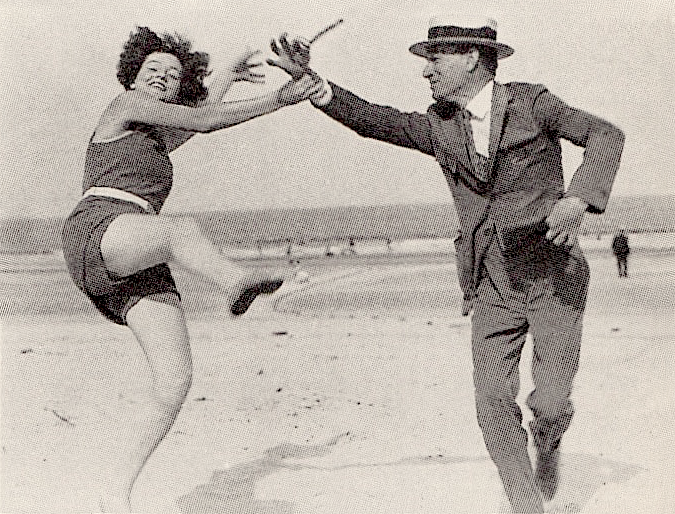 Photo of daughter Mabel in a beach dance with father George Herriman. TIM ECKHORST studied communication design and editorial design at the Muthesius Kunsthochschule Kiel. He is a graphic designer in Kiel and Blumenthal. 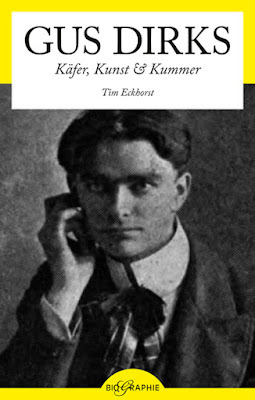 In 2012 he published a biography of Rudolph Dirks. 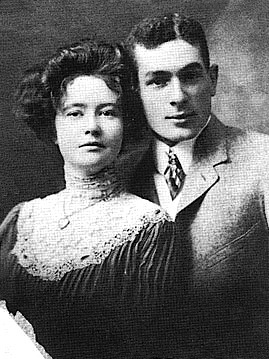 He now has prepared a biography of Rudolph’s brother, Gus Dirks, who drew the comic strip Bugville Life, and died very young. The biography is titled Gus Dirks; Käfer, Kunst & Kummer — which translates into Gus Dirks — Bugs, Art & Sorrow. It will be released by Ch. A. Bachmann Verlag. TRIBUTE COMICS. 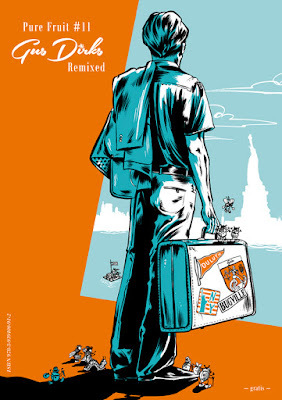 In addition, Eckhorst has started a Gus Dirks tribute comic. 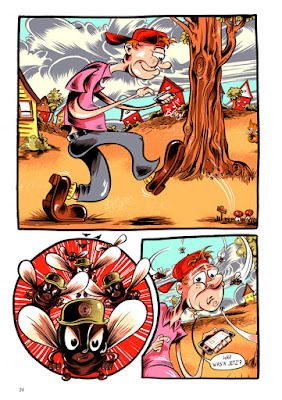 Comic-artists from Germany, Belgium and the Netherlands drew their homage to Gus Dirks and his creations. 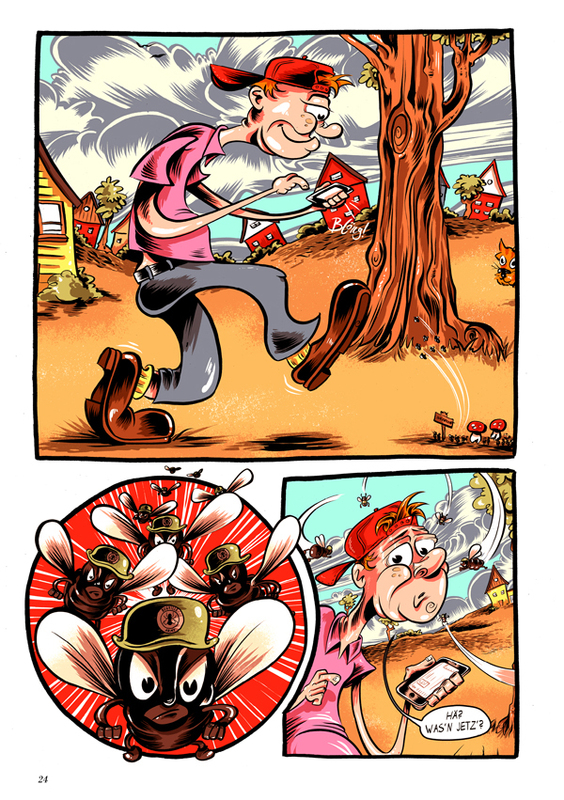 The result is the comic book Pure Fruit #11; Gus Dirks Remixed. A book of which 10,000 copies were printed, and those will be distributed for free in German comic book shops. All made possible because the publication contains some ads. The comic-book will also be published online on May 14th. It can be found HERE. A comic-release-event will be held in Heide (Schleswig-Holstein), the small German town where the Dirks brothers were born, next week. 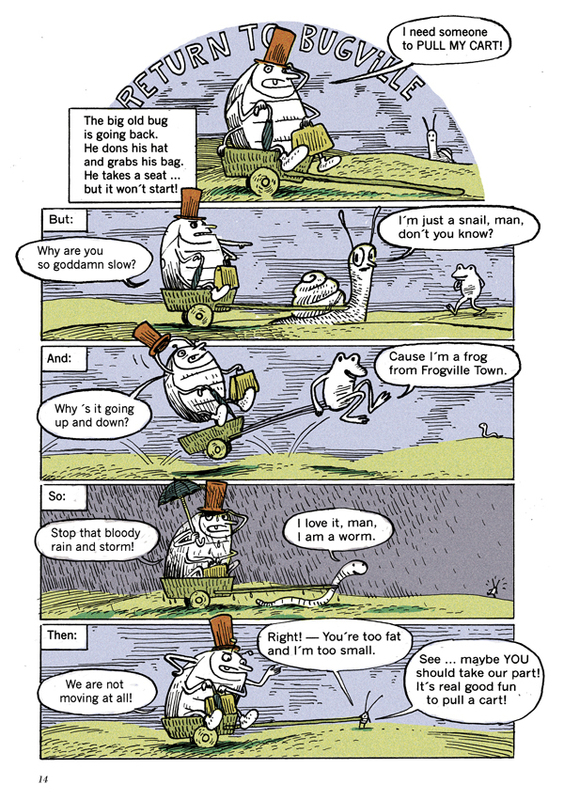 WEB COMICS are a new and relatively undocumented evolution of the comic strip. 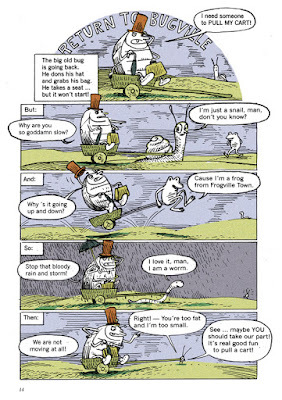 Independent web comics — and flash animation — made their debut with the onset of the home computer. 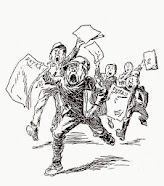 Newspaper syndicates were quick to move online with new and established properties, pushed by ongoing newspaper closures that decimated traditional avenues of employment for print cartoonists. The decline in newspaper comics is probably irreversible at this point, but web comics do have advantages in that comic strip artists can build a respectable number of readers through social media promotions, and issue regular book collections in a more traditional manner. A FEW DAYS AGO the mailman (my hero) delivered to my doorstep Disney artist Bob Scott’s Molly and the Bear hardcover book. 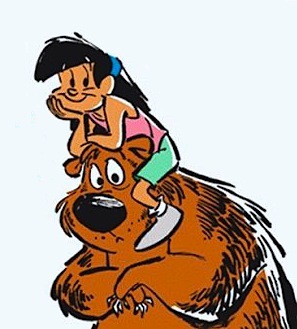 A book collection of the best of his heart-warming, laugh inducing syndicated web comic series about an 11 year old girl and a 900 pound scaredy-cat bear. Bear, fearing hunters in the forest, entered Molly’s house through an open window and took up residence on the sofa. Bear was quick to win the hearts of Molly and her Mom. But for Dad it was too much having an uninvited houseguest hibernating on the couch, emptying the fridge and alienating his wife’s affections. BOB SCOTT was born in Detroit. Michigan and never had any other goal than to work as a cartoonist in emulation of Dennis the Menace, Pogo and the Saturday morning cartoons. He graduated from the California Institute of the Arts and worked over thirty years in the animation industry. In the 80s, fresh out of Cal Arts, Scott co-penciled the U.S. Acres strip for artist Jim Davis. Molly and the Bear was born in 1997 and has been a syndicated web comic since 2010. He prepares Molly the old-fashioned way writing his own gags and drawing with Indian ink on bristol board. BOOKS ARE still quite popular. You can take Molly and the Bear to bed, read it in the bath, scribble in the margins, crayola the panels, or try your hand at copying Bob Scott’s animated characters. 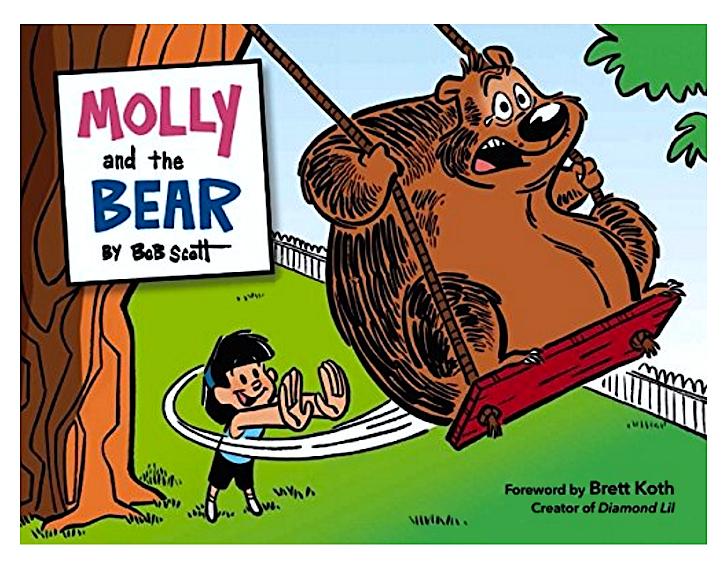 Molly and the Bear is published in shiny hardcover by Cameron+Company with 256 pages of high resolution b&w strips and more. 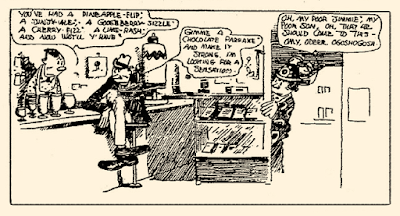 The section titled Behind the Ink shows charming sketches of the main characters and charts the progress of one strip from rough thumbnail through blue-pencil to finished work. Plus a Forword by Brett Koth, creator of Diamond Lil. Available at Barnes & Noble and Amazon. 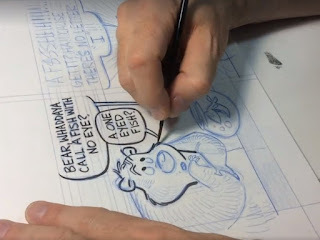 Read the latest episode of Molly and the Bear in the New York Daily News HERE.